Google Adwords is on of theA�programs we use to gain top results for your company withinA�the search results of Google. With Google Adwords, you can easily target a specific target group, a location, time, keyword or every other requirement you desire. By using this program, we can make sure that only high valuable visitors will lead to your website. Visitors thatA�are specifically searching for your product or service. Another advantage of Google Adwords is that you can start with a low budget. Therefore we are able to show you results in just a few days with very limited budget. This makes it an easier step to take if you are new to Google advertising. As a certified Google Adwords partner, S&S Online Marketing receives Adwords coupons on a weeklyA�basis. With these coupons, we can help you to start with a free budget on Google. Need a coupon? Don’t hesitate to contact us about the possibilities! 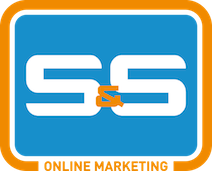 Contact S&S Online Marketing trough ourA�contactform or call with to +31 36 30 300 61 for more information and obtain your free Google Adwords Coupon. Do you already have a Google Adwords Coupon? We have yearsA�of experience with creating new Google Adwords campaigns and optimizingA�current campaigns. If you already have a free Adwords coupon, it is recommended to set up a professional and well structured campaign to get the most out of this free money. It would be a waste if you start a trial and waste your budget on irrelevant traffic. Contact us for free advice. We always start with a keyword research specifically for your clients and region. After finishing the keyword research, we use these keywords in an effective campaign and give you advice how to start and with which words. S&S Online marketing is based on transparency, so you can follow our work and your campaigns realtime. This will give you a fantastisch insight!